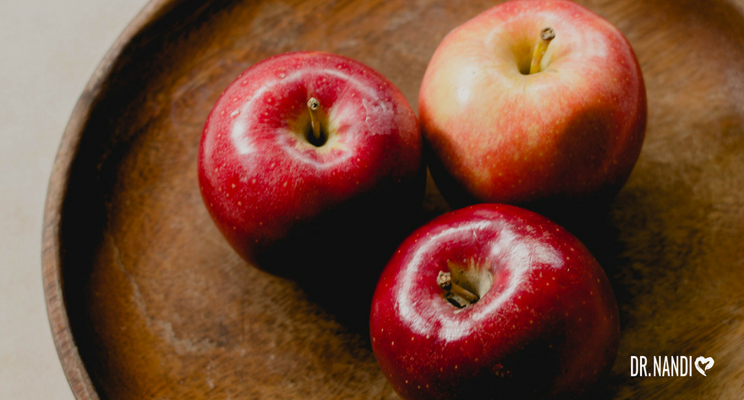 When it comes to eating healthy and adding beneficial items to your diet, you may think of apples, but apple cider vinegar rarely comes to mind. Yet it should. Used by the ancients for thousands of years, apple cider vinegar helps you heal and stay healthy; with all its benefits, there’s no reason not to take it every day. Here are just some of the ways it improves your health. Apple cider vinegar promotes circulation and detoxes the liver by binding to toxins in the bloodstream and flushing them from the body. High in potassium, apple cider vinegar breaks up mucus and clears out your sinuses, allowing you to breathe easier. Because of its antibacterial properties, apple cider vinegar takes the ache away from a sore throat and promotes healing; all you need to do is gargle with equal parts water and vinegar to feel better. If your stomach’s slightly upset, sip on diluted apple cider vinegar to reap its antibiotic and pectin benefits as it calms your stomach and improves digestion. From bug bites and poison ivy to sunburn and jellyfish stings, apple cider vinegar takes the itch and irritation out of skin soreness. Instead of chemically filled solutions, soak a cotton ball in apple cider vinegar and leave it on warts overnight until they’re gone. When you’re feeling sluggish, reach for apple cider vinegar instead of another cup of coffee. Filled with enzymes and potassium, it will give you just the right amount of pep in your step. Apple cider vinegar is a great source of amino acids, which help combat lactic acid post-exercise, reducing muscle aches and fatigue. To keep your hair looking shiny and flake free, rinse with apple cider vinegar at least once a week. It balances out the scalp’s pH and prevents product buildup. Apple cider vinegar also balances the skin’s pH and can be used to reduce the appearance of acne and prevent further breakouts. Instead of reaching for a breath mint, stop bad breath where it starts with apple cider vinegar. Its antibacterial elements eliminate the root cause of bad breath. Typically caused by an imbalance in acid, heartburn and acid reflux can be regulated by apple cider vinegar, which helps get things back where they should be. Low in the glycemic index, apple cider vinegar keeps your blood sugar stable and helps you better manage your insulin levels. 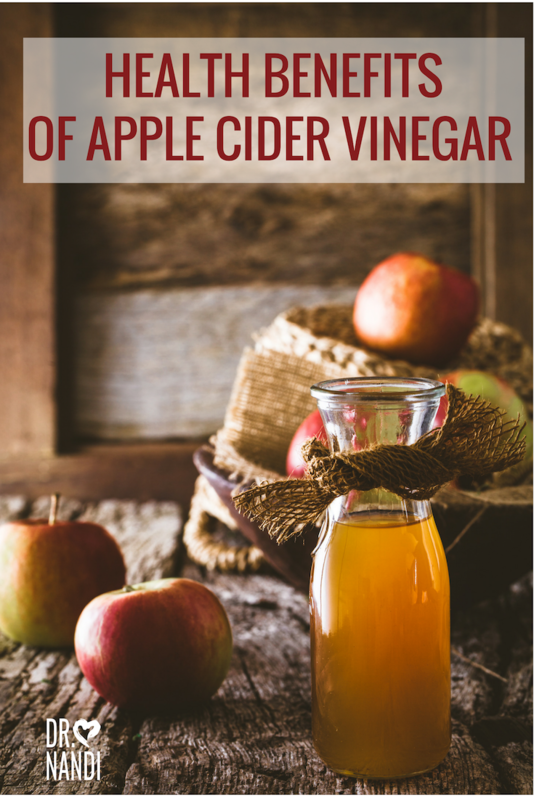 Perhaps one of its best qualities, apple cider vinegar helps you better absorb other nutrients so you don’t miss out on any of the good stuff from all those healthy options. Here at Ask Dr. Nandi, we want you to be your own health hero. Part of that is knowing what you should put in your body. Without a doubt, apple cider is one of those things! When choosing apple cider vinegar, make sure to opt for organic and raw. Look for vinegar with “the mother;” it’s cloudy, murky, and filled with proteins, enzymes, and good bacteria. Take two tablespoons of apple cider vinegar daily with water or juice; add honey or lemon for flavor. If the taste is still too much, use apple cider vinegar in salads and soups. Apple cider vinegar also makes a great non-toxic cleaning agent, so use it on the windows, walls, floors, and furniture.